Review – I think my one misconception going into the book was that this would include way more action-battle fighting for the throne. Not sure WHY i thought that, but there you have it. Hesina spends so much of this book trying to do the right thing, trying to justify her wrong actions as being for the right reasons, vilifying some people while idolizing others…to learn in the end the world is never meant to be so cleanly defined. How do you choose between the lesser of two evils? Is it better to commit a hypocritical act that you think will save the country you forfeited your future for or to admit you failed in every way to be the ruler your people needed and admit your misbegotten deeds? 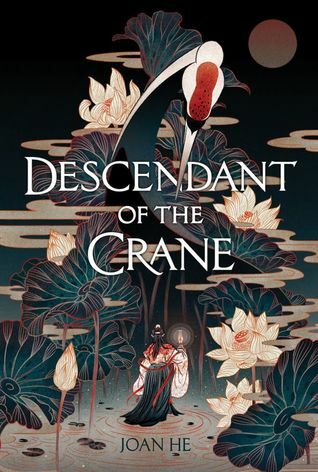 Our main characters – Hesina (newly crowned Queen of Yan), Caiyan (adopted brother & adviser to Hesina), Lilian (Caiyan’s twin & Hesina’s best friend), Akira (convict & Hesina’s only chance at finding the truth) and Sanjing (Hesina’s younger brother & General of the troops) all face a LOT of lesser evil decisions. And part of those decisions involve how little they all truly know about each other and their motivations. Secrets upon secrets, promises made and broken, misunderstandings and long buried hurt feelings…how can anyone navigate these waters without causing consequences they couldn’t guess at? The world is beautiful and so layered – close to when some inevitable and painful truths are revealed, Hesina reflects on deeper meaning that she missed. Clues left behind that she didn’t think to tie together. This is a book that even if you are TOLD how it plays out in the end, you couldn’t understand without following Hesina’s journey. Every step she had to walk, every painful realization, every moment her world crumbled just a little more…you have to follow it. Love is a dangerous emotion – it blinds you, confuses you, makes you react in ways you skewer others for. For love of a father Hesina demands the truth, for love of a daughter a father dies, for love of a sister a brother betrays her trust, for love of a country lies are permitted to spread because the truth would destroy them all.